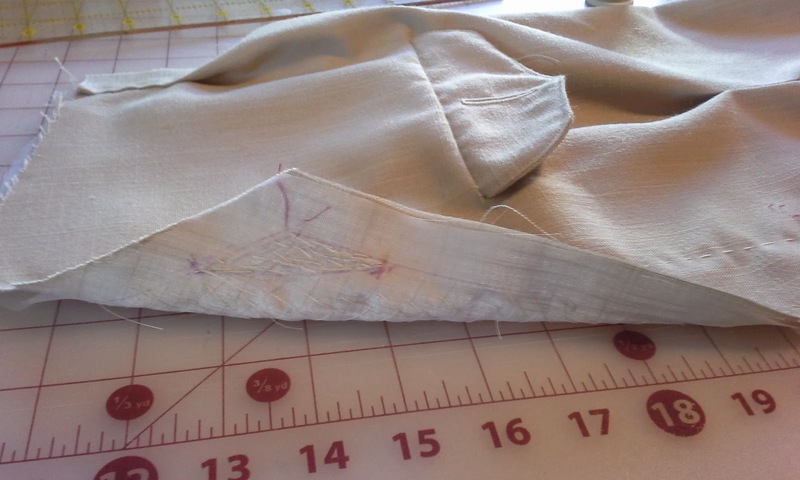 Pad stitching on wrong side--this will be hiden inside the fabric. I like pattern instructions with 5 or 6 steps, even say...30. I again have a long pattern with 96 steps. Vogue 8732 is definitely a challenging pattern. This is day 5. I am wondering if I will finish in time to enter it in the Inspired by the Movies contest on PatternReview.com. I have three days until the deadline to enter, so I will try to make this quick. Yesterday, I left off having just finished the welt pockets and the flaps, basting the front shoulder pleats and stitching the front waist tucks, I have now done the pad stitching on the lapels and taping the front of the jacket. Pad stitching sounds scary, but having just pad stitched the lapels six times--twice that I finally liked--I can tell you, it is actually easy. Why did I pad stitch six times? Well, twice I had no clue. Third and fourth, I didn't think they were even enough. Fifth and sixth were just right. I had trouble trying to find out what the outside was supposed to look like. So I am going to show it. Please remember that this is hidden under the lapel, but still on the right side of the fabric. 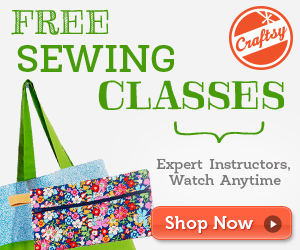 I'm not sure if all pad stitching will look like. 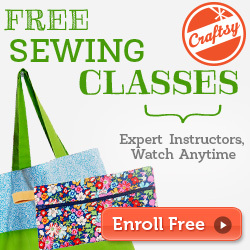 I think it is usually less obvious, or even all inside of fabric. I just don't know yet. To do the pad stitching, I worked in rows parallel to the roll line, which is marked in my disappearing ink fabric marker and stitched with small diagonal stitches. With the right side up, I folded the lapel over my fingers on the roll line. 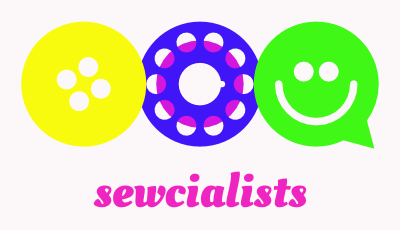 Now I would make 3/4 inch (1 cm) perpendicular stitches toward the roll line inserting the needle closer to me and out closer than the roll line. They were 3/4" (1 cm) apart. I would make these in a row. They would look like the stitches were diagonal on the top and straight lines underneath. In the outside corner triangle, which is 1 1/4 inch (3 cm), the stitches become smaller and are now perpendicular the rest of the pad stitches. This is supposed to help the corner roll softly toward the chest. This is after the pad stitching. See how it forms a gentle roll? pleat that I finished yesterday. I did all of my marking with my purple disappearing ink fabric marker, which I did test. I marked the seam allowances and the little triangle. 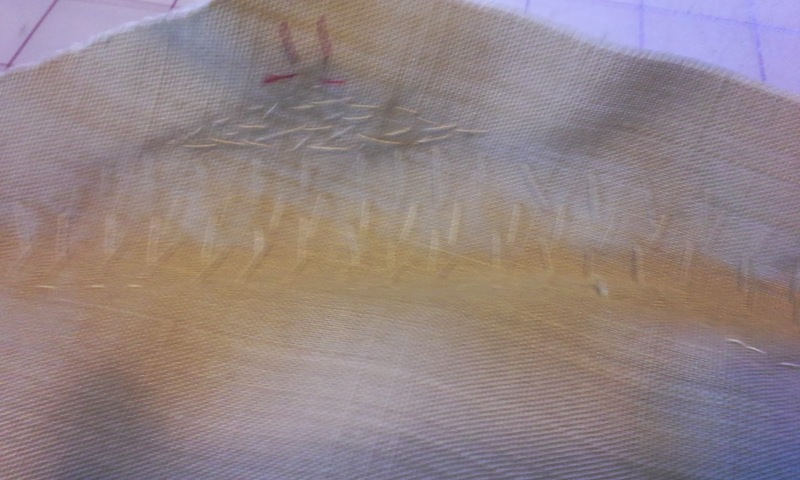 The other markings you see is my thread tracings in a red that I am trying to use up and my beige cotton basting thread. 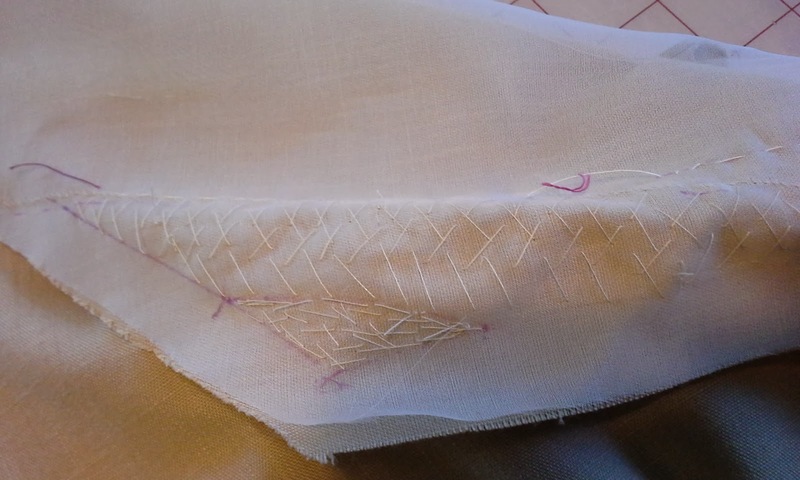 I like using the basting thread because It breaks when when it is caught under the permanent stitching and can be removed without damaging the other stitches. I am pretty impressed with the final results. The lapel actually rolls gently from the roll line and the corner gently continues the roll. 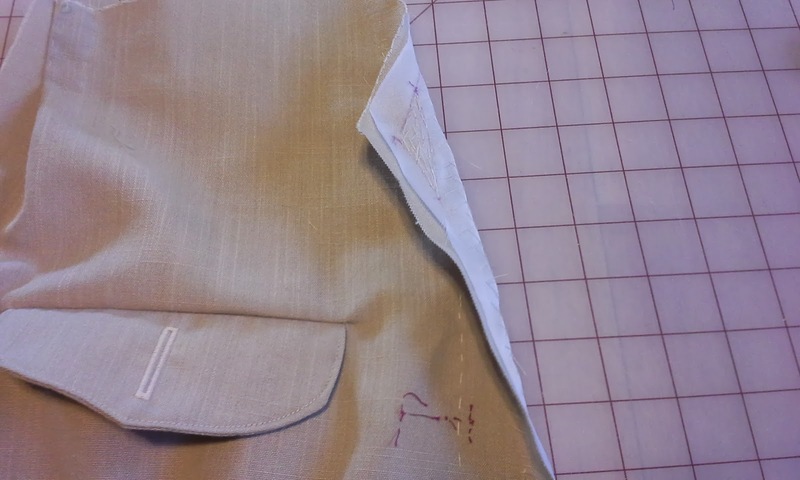 After the lapels, I used the selvage of my fabric to tape the fronts edges by basting. Then stitching the edge to the tape and the tape to the interfacing (I used organza for the interfacing, because it is light and very stable). I am now on the step where the front yoke is sewn to the front. However, after sewing them on, I realized that I had basted one of the pleats backwards. So, I will be unstitching, unbasting, and then rebasting and resewing before I can move to step 28.